During this time period, there were 117 Islamic attacks in 22 countries, in which 797 people were killed and 790 injured. 90,000 Christians worldwide were killed in 2016 for the crime of being Christian. Christians continued to be the most persecuted group across the globe in 2016, according to a study. 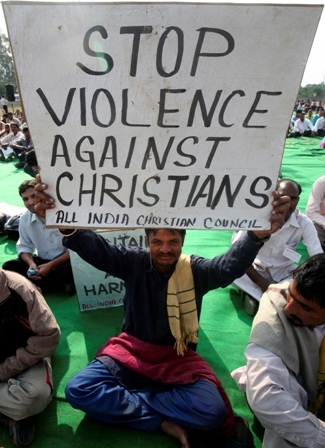 The upcoming report from Italian-based Center for Studies on New Religions, determined that 90,000 Christians were killed for their beliefs worldwide last year and nearly a third were at the hands of Islamic extremists like ISIS. Others were killed by state and non-state persecution, including in places like North Korea. Let that sink in for a moment. How many deaths have you heard about? The very few you know about are characterized in a very different manner. Remember the Pulse shooting? 49 killed by a Muslim gunman in a gay nightclub. Islam has a homophobia problem, but that was completely glossed over. Remember the San Bernardino shooting? 14 people were killed by a Muslim couple. No one talks about it now. No one brings it up. Here’s another list of Islamic attacks in the US.